Come for the G-Sync, stay for BenQ's niche-bound but smartly crafted features. This review was published on February 23, 2015. Since then, this product may have been discontinued or replaced. Pricing and availability may differ from what is stated in the review. The BenQ XL2420G (MSRP $699.99) is the company's 2014 G-Sync capable gaming monitor. It's essentially a physical carbon-copy of the XL2420Z, except that this 24-inch game-changer features what BenQ calls a "Hybrid Engine," allowing the user to split between BenQ's classic feature set and Nvidia's proprietary G-Sync chipset. Like the rest of BenQ's XL Series lineup, the XL2420G is an extremely niche product made for serious, professional gamers, especially within the realm of eSports. It boasts a naturally efficacious response time thanks to a fast-and-loose Twisted Nematic (TN) panel, and is equipped with BenQ's signature "S. Switch" to maximize the user's speed and customization options. You're paying a good bit more for the G-Sync XL compared to the standard 24-inch XL because of its hybrid functionality. If you've already invested in the PC rig and hardware necessary for G-Sync, this is a great option. But since it effectively doubles as both a G-Sync compatible display and an excellent standalone gaming tool, you're left paying for BenQ's specialized, niche features no matter what. If you only want the G-Sync compatibility, you could get Acer's 28-inch XB280HK for around the same price online, securing a larger screen size and a feature set that's much simpler without BenQ's bells-and-whistles. The XL series is a tried-and-true pro gaming option, but it's simply too tricked out for the casual gamer. It's what's inside that counts—but we like the outside, too. You'd never know the XL2420G was any different from BenQ's other 24-inch XL monitors if it didn't say so on the box. This one features the same red-and-black design aesthetic, aggressive angular edges, and ports/accessories options as the company's other gaming displays. The XL2420G looks identical BenQ's other 24-inch XL Series monitors—all the G-Sync goodness is hidden inside. The stand allows the panel to raise/lower by about 5 inches, tilt forward/back by ±20°, rotate to portrait, and pivot left or right upon the base. Unlike BenQ's next-gen 30T, the XL2420G uses the traditional static (non-retractable) headphone hook, oval cable guide, and triangular, side-mounting S. Switch. We miss the subtle improvements that the 30T makes, but we're not complaining, either. The XL2420G features the same red-and-black design aesthetic, aggressive angular edges, and ports/accessories options as the company's other gaming displays. On the monitor's left side, you'll find two USB 2.0 inputs and a single headphone jack—no microphone jack, unfortunately. The rest of the ports line the underside of the display, and are easiest to access by raising the screen to full height and rotating to portrait orientation. Down here, you'll find two HDMI inputs, a DVI-D input, and a DisplayPort option. There's also a USB-B input for serial hub options, and a mini-USB input for the S. Switch. 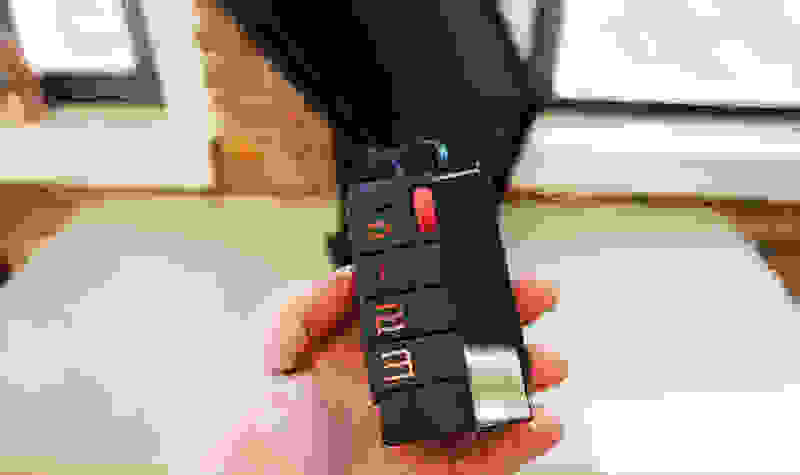 Speaking of the S. Switch (or Swift Switch), it's one of the key, signature elements of the XL Series. The 20G's works identically to past iterations: Picture functions like Brightness (Black Level) or picture mode (FPS, RTS, or custom game modes) can be triggered with the push of a button, allowing you to effortlessly tailor the display's resolution and refresh rate to the game at hand without navigating through multiple menus every time. The S. Switch is proprietary to BenQ—unfortunately, it doesn't work while the monitor is in G-Sync mode. Last but not least, the 20G includes BenQ's signature headphone hook and carrying handle design, features that often make the monitors a shoe-in for gaming competitions and LAN parties (I'm not the only one who still has LAN parties, right?). In the box, BenQ includes the monitor, stand, base, a protective dust cover, driver disc, S. Switch, power cable, USB cable, a DisplayPort cable, and a DVI-D cable. 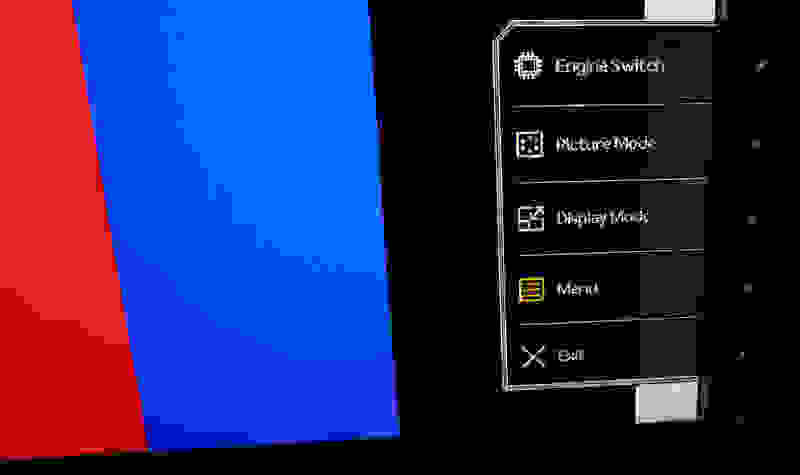 Touch-sensitive controls bring up a contextual menu where you can adjust picture modes, resolution, or switch between Classic and G-Sync engines. 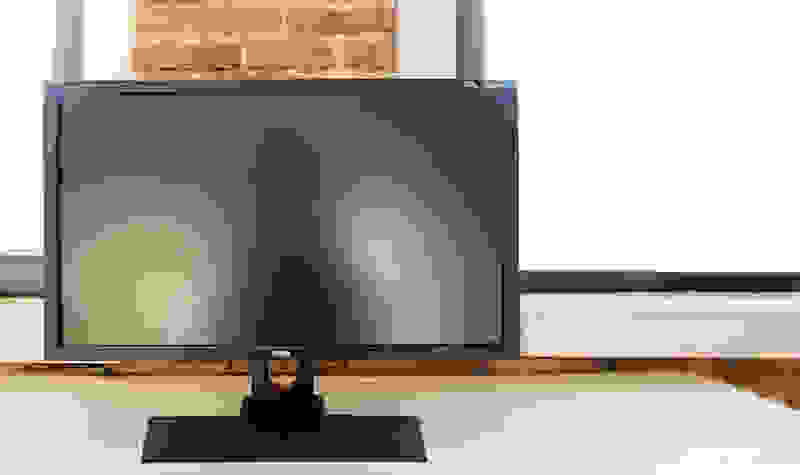 The first thing that interested consumers should know about the XL2420G is that it's an either/or sort of product: You can either use G-Sync functionality or BenQ's Classic Mode—wherein the display behaves identically to other XL Series options—but not both. The "Hybrid Engine" marketing term is a bit misleading, too, as hybrid implies dual-functionality in some regards. With G-Sync active, many of the most popular built-in functions don't work. You can allegedly make use of ULMB (Ultra Low Motion Blur, the "sequel" to LightBoost) via a DIY method that'll take some notable tinkering. On the other hand, the XL24020G is also the only monitor currently available that offers a combination of ULMB and G-Sync, making it doubly enticing for frame rate fanatics. The only way to access some of BenQ's most popular features, like GROM (Gaming Refresh Rate Optimization Management), Black eQualizer, Display Pilot, Smart Scaling, and even the S. Switch is via Classic Mode. When G-Sync enabled's, the XL2420G becomes more like a drone for Nvidia's niche, next-generation G-Sync functionality and less like a traditional BenQ display, but at least you (sort of) get both. Testing revealed that the XL2420G is not the strongest performer in terms of either color accuracy or overall image clarity. 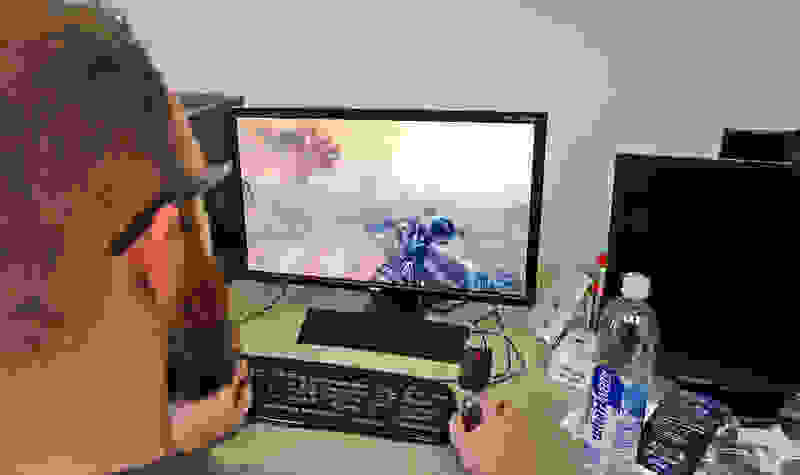 As an aside, the 20G's "low" 1080p resolution (where monitors are concerned) is probably the best choice for most fast-paced games, as higher resolutions introduce more texture scaling and image processing that could feasibly make for input lag, and avoiding input lag is arguably the top priority for any gaming monitor. As for the image quality, testing revealed that the XL2420G is not the strongest performer in terms of either color accuracy or overall image clarity—meaning it's about in-line with BenQ's other XL Series options. TN panels like the 20G's generally offer positive returns on response time speeds, but don't usually offer the same color purity/accuracy as, say, an IPS panel. At the very least, the 20G is amply bright, offering solid contrast, and its color is good enough that most people won't notice anything's amiss—just don't try to use it for color grading. While we can't yet do a comprehensive review of G-Sync without testing it on multiple monitors, we did manage to test G-Sync via a couple of different games running off of a dedicated gaming PC (GeForce GTX 770 GPU, AMD Phenom II X4 960T Processor, 16 GB RAM). With G-Sync enabled, we noticed a more consistent 60 FPS frame rate and slightly reduced screen tearing, though not by a hugely obvious margin. Using GeForce's built-in FPS counter, we played a few rounds of different types of games, including H1Z1 and the Battlefield: Hardline open beta, alternating between V-Sync/G-Sync both off, just V-Sync On, and just G-Sync on in order to observe the difference. With neither G-Sync nor V-Sync enabled, frame rate variance/frame dropping was normal, with very occasional frames either peaking above 60 FPS or dropping down into the 40-45 FPS range, though mostly hovering between 59/60 FPS. With V-Sync enabled, screen tearing (especially on horizontal pans) was reduced, but frames were more erratic than with V-Sync disabled. While FPS did not drop often below 40, it dipped notably more than when V-Sync was off. With G-Sync enabled, screen tearing was reduced in a similar fashion to when V-Sync was active, though not to the same degree, while frames during gameplay were extremely consistent at 60 FPS even during intense areas of gameplay. It's worth noting that while G-Sync did appear to aid in both frame rate consistency and graphical fidelity, it didn't make a marked improvement over either the unassisted performance of the monitor or the monitor with V-Sync enabled (where applicable). That is to say, while it's clearly working as advertised, it's a subtle effect that may or may not make a major difference. Certain games and setup will benefit more than others, but don't expect it to revolutionize your gaming sessions. There are lots of G-Sync options. If you buy this one, buy it for everything else. The BenQ XL2420G is sure to please consumers if only because it's one of the cheapest, most readily available options for G-Sync—you can find it for $539 online, which is one of the best prices right now. However, it's also just a solid all-around display, as are most of BenQ's XL Series monitors. You could argue that there are already plenty of G-Sync capable monitors on the market considering the niche appeal of that function. In fact, one option from AOC is almost exactly like the XL2420G: It's a 24-inch screen with G-Sync capability and ULMB (Ultra Low Motion Blur). The catch is that it's only available in the UK right now. The picture quality won't dazzle anyone, but if speed is your game, the XL2420G is ready to play. BenQ's proprietary Classic Mode means this monitor is just as capable and useful as the company's other options, but with the additional icing of the G-Sync engine. As in the past, we're big fans of the S. Switch and GROM functions, but also feel that the XL Series continues on a path antithetical to walk-in buyers. But if you've been eyeing this monitor and know just how deep these waters can get, don't be afraid to take the plunge.